Barcelona goalkeeper is banned for the argument with the referee. Victor Valdes received a yellow and a red card in the space of a few minutes in Saturday clash against Real Madrid at Santiago Bernabeu after protesting against the referee’s decision. 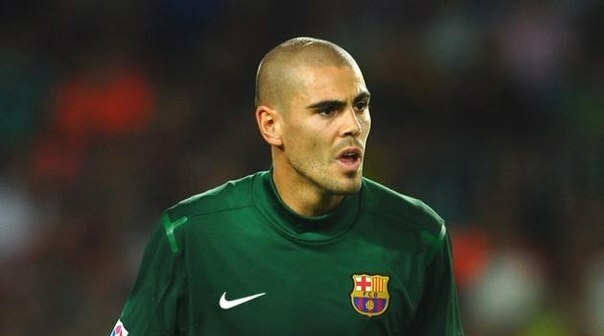 According to the match report Valdes was reluctant to leave the pitch, screaming to the referee “you screwed up, you have no shame”. The Spanish Football Federation’s Competition Committee banned the player for four games as a result of the incident. Barcelona officials informed that the club will appeal the decision.